Our list of games like Blade and Soul features high quality MMOs with a focus on martial arts, vast worlds and combo orientated combat that shines in PvP. 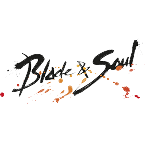 Blade and Soul has its roots in Korea eventually coming to a Western audience 4 years after the move was announced. Martial arts is at the centre of this adventure which just like other games with this focus means reliance on mastering combos for maximum potential, almost creating an experience in line with fighter games. While mastery is important for PvE the combat shines in the PvP realm where one of the primary modes is the 1v1 duel. Facing your opponent alone ensures the perfect test of your reaction time, skill build, decision making and ability to adapt to your opponent. This impressive and finely tuned PvP has been the staple attraction to Blade and Soul over other MMO games. While PvP is the cornerstone Blade and Soul does have other high quality elements including character customisation to help you separate yourself from other players, diverse classes and large amount of voice acted content for the main story. The games like Blade and Soul below offer a similar style of action combat focusing on combos and free moving characters. These top MMO titles also promise strong PvP, great world designs and plenty of character customisation to recreate yourself within the game.